Riverstone is a unique, natural stone and epoxy hard surface flooring product. Riverstone Flooring is a mix of different pebbles that are found in riverbeds or crushed from rock. 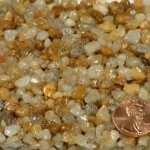 These stones are then mixed with a two part liquid epoxy and trowelled as an overlay on any existing solid surface. Aardvark’s stone flooring can be used as an overlay on any indoor or outdoor concrete or wood surface. 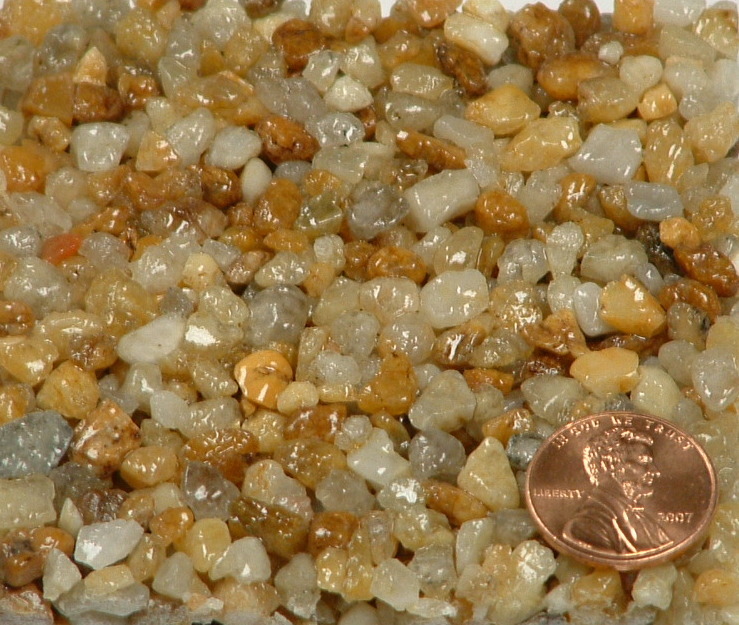 Natural stones are obtained from riverbeds in the Midwest, placed in a dry kiln to remove all impurities and water, and then mixed with an epoxy adhesive to create a seamless, durable floor for your home or business. It can be laid on vertical surfaces such as stair fronts as well as flat. Unlike carpet, tile, or linoleum, Aardvark Painting Inc. stone flooring will last you a lifetime. And our competitive prices make it the easy choice for a long-term investment in your home or business. Dust will settle under the surface and will not become airborne as other types of flooring surfaces allow. Vacuuming will remove all the dust from the porous substrate thus saving you lots of time spent on dusting. Neither freezing temperatures nor extreme heat harm our natural stone flooring system. 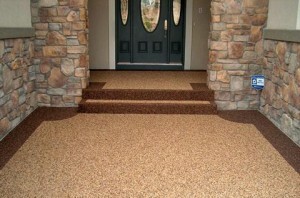 The stone cures quickly; you may walk on your new surface approximately 24 hours after installation. Dirt, oil, grease, and salt will not harm your stone epoxy floor. An occasional power washing with water will keep your stone looking beautiful. Besides hosing down your stone occasionally, the only maintenance required is an epoxy recoat every 2-3 years to sustain its durability. Length of time between recoats depends on ultraviolet exposure and traffic. This means that our stone flooring allows water to run through the system – eliminating standing water. This allows the subsurface to aerate, resisting mold, mildew, and moisture build-up. Because it doesn’t hold water or heat, our natural stone surface is 10 degrees cooler to walk on in summer! 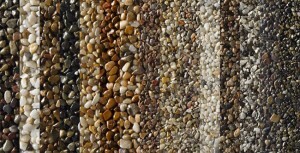 While our stone is all-natural, it can be dyed to match any custom color. Most of our work includes custom patterns and borders in multiple colors. We can also inlay your company’s logo in your new floor. We can repair your cracked stone floors, patio and pool decks with new stones and fresh epoxy sealer. Inspect the substrate and determine a solution for your cracking. 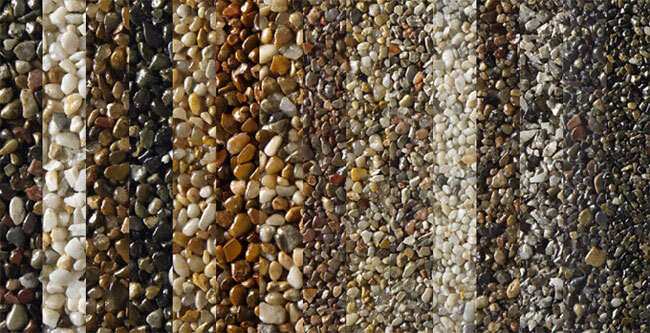 Match your existing Stones & Pebbles with new stones and dye stains. Apply industrial cleaner and Power wash to remove dirt debris and loose stones. chisel out loose coating with hammer drill and Grind cracks. Reapply new coated stones and pebbles. Apply Industrial Epoxy coat to complete surfaces.